Yes, in case you were wondering- that was me trying to photograph these popsicles on the hottest day we've had all summer. Insert rolling eye emoji here. What can you do? Popsicles! Or "popsibles" as Luke calls them, are pretty much on our daily menu these days. Luke discovered all of a sudden that he loves popsicles, and literally asks me to have one for breakfast as soon as he wakes up, every day. SO instead of fighting the guy, I'd rather stock up our freezer full of yummy, homemade and nutrient dense treats and go ahead and let him have a breakfast popsicle. That's a thing right? 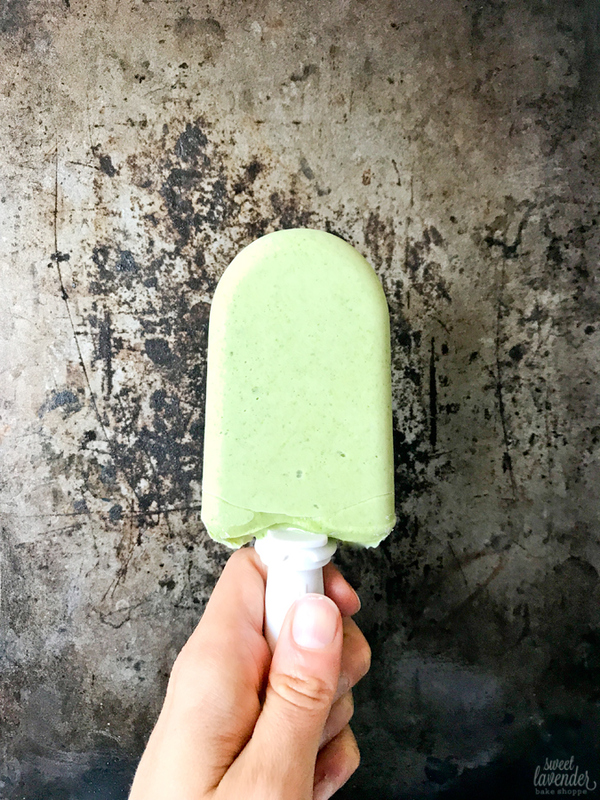 Breakfast popsicles? I mean, it's basically (well no, totally is!) a smoothie, just frozen...so I'm thinking it's a sneaky mom win. Mom wins rock. I do have a few tricks up my sleeve when it comes to popsibles for Luke though, bwahahaha. They're made with the best ingredients I can find AND with both whole fruit and veggies! Zing! The best part? Luke literally doesn't even care they're good for him because they friggin taste like ice cream. So, I'm reading your ingredient list, Christina and why do I need full fat, grass-fed yogurt? There's a few reasons! For one, it makes the popsicle super smooth and creamy. This is what gives it that sort of ice cream flavor. Also, little guys don't really need to worry about things like "low fat". They're moving around so much as it is, that all those extra calories are really good for their little bodies (and brains!) :) Also, grass-fed dairy includes loads of extra goodness in terms of vitamins and minerals from the way the cows are allowed to naturally graze pastures and grass AND makes sure the dairy your little guy is consuming is free from any antibiotics and unwanted stuff that may be pumped into or given to regular conventionally raised cows. Here is a great little read, if you're interested. And I know raw dairy is so taboo right now and some are really afraid of it, but if you can get your hands on some full fat, grass-fed, RAW yogurt- even better! Why do I need that collagen hydrolysate? So, you don't. 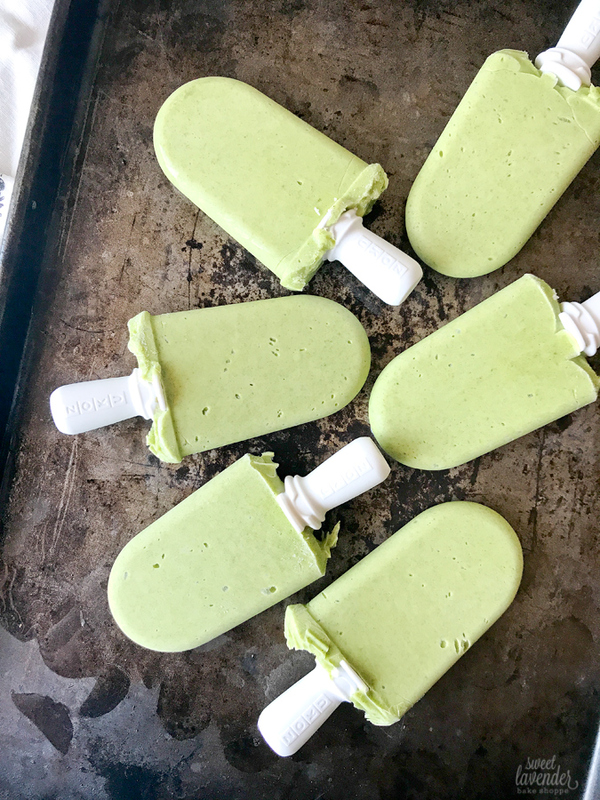 These popsicles will be totally fine without it BUT it will give your little ones A LOT of extra goodness in one popsicle. We love Great Lakes Gelatin Collagen Hydrolysate because it dissolves in both hot and cold liquids and foods, but still gives us the amazing benefits of collagen: like a crazy good amount of protein as well as nutrients that improve hair and skin health, joint health, leaky gut and just gut health in general, teeth strengthening, liver health, and heart health. And this particular brand is kosher, gluten-free, paleo, grass-fed, low in fat, low in sodium, never with antibiotics/synthetic hormones, no sulfites or sulfur dioxides, pesticide free, AND preservative free. It's like drinking bone broth...but in a powder. And why raw honey? Can't I just do regular honey? Again, yes. You definitely can. Won't change the taste or texture of the popsicle. But again when we can add even more boosts of nutrients, why not? Now, I will say, if you are making these for a little guy under 1...don't add the RAW honey. Stick with maple syrup. Or omit altogether. But for little guys who can eat the ingredients listed, raw honey is such a great ingredient to have. According to Dr. Axe, raw honey, "contains bee pollen, which is known to ward off infections, provide natural allergy relief and boost overall immunity. And a daily dose of raw honey raises levels of health-promoting antioxidants in the body." So, that's a win in my book. 2. Daddy friendly! Hahaha. My husband has been known to sneak a few of these. 3. Hides ALL the veggies! Your little one won't know what hit em. 4. A powerhouse of things that will help your little guy (or gal) grow big and strong! 1. Add everything to a high speed blender and blend until it's all completely pureed and smooth, about 45-50 seconds on high. Enjoy as a guilt free, nutrient dense, treat!